Visit The Heart of England are offering vouchers and special rates for visiting attractions in the area. Check out the current offers here. The area is well stocked with Places to Eat, whether in pubs, cafes or posh restaurants. Ludlow, being known as the Food Centre of Britain, can provide some really top class dining. Food shopping can be fun too; Ludlow being a good place to shop for food. There is a little village shop, a garage a butchers and a post office in Bucknell and Knighton has a larger range of shops. Clun also has a good range of small shops. Whether you want to walk, cycle or ride, there are plenty of well marked footpaths, cycle tracks and bridle ways as well as quiet country lanes. When you or the children are bored with walking or your parents want a more gentle form of entertainment, visit the numerous castles, houses and gardens, wildlife, forestry and farms in the area. The Snailbeach Lead Mine, which is the best preserved lead mine in Britain, provides guided tours when they are open. There are taxi firms you can ring for transport Don't rely on them to come out unless you give them plenty of notice. We are remote out here, public transport is for other people as far as I can tell; it is rare! However, there is a train service from Bucknell and a bus comes through once a week. This page gives you plenty of information about the local area; what is going on on the farm, where to eat, what to see. There are links to local sites of interest and walking and cycling information. The Cider Barn Pembridge 01544388161 A beautifully converted farm barn situated alongside the Dunkertons Cider Mill. The restaurant as owned and run by it’s chef, the food is delicious and different and most of the ingredients come from local sources. The Bell Inn Yarpole 01568 780537 Friendly, family owned and run with an excellent value for money Sunday Lunch. The Baron of Beef Bucknell 01547 530549 The nearest local pub and restaurant with good food in a friendly atmosphere. The Sun Inn Leintwardine They say, ‘one of the last remaining parlour pubs in the UK’. I believe you can buy your fish and chips next door and eat them with your real ale in one of the parlours. The Green Cafe Ludlow 01584 879872 Situated by the river on the site of the old swimming pool, The Green Cafe serves delicious food from 10.00 to 4.30 from Tuesdays to Sundays. It is worth booking especially at lunchtime and is totally well worth a visit. The Crown Inn, Newcastle 01588 640271 A family friendly local with extensive lunch and evening menus and a takeaway service. Milebrook House Hotel Knighton Delicious locally sourced food in an award winning restaurant. Saffron Restaurant, Knighton. 01547 528510 Indian, eat in or take away. The Sitwell Arms, Bucknell 01547 530213 The second nearest pub. Serves very good fish and chips on a Wednesday evening to eat in or take away, booking is necessary. The Royal George, Lingen 01547 530213 A nice cosy 'pubby' pub, which serves very good food. The Sun Inn, Clun Very good food, I am told. The Three Tuns Bishops Castle 01588 638797 Home brewed beer, good food and live music. The White Horse Clun 01588 640305 More home brewed beer and good food and live music. Knighton provides us with the Co-op (formally Harry Tuffins), which also has a petrol station, a Spar and a Cost Cutter. There is also on organic grocery shop Rhos Market Garden, The Old Garage, at the top of the town. Held on the Second and Fourth Thursday of the month. 9am-2pm. Bishops Castle Farmers' Market is held on the Third Saturday of every month in the Town Hall and the adjacent Market Square. 8.30am to 1.30pm. First on your list would have to be Ludlow Castle, which is so steeped in history and although mostly ruined, you can still climb up onto the walls and turrets. Stokesay Castle is also well worth a visit, not so much a castle as a fortified manor house and Powis Castle at Welshpool is a must. For more castles in Wales visit Castles in Wales and of course, just down the road is our own Clun Castle. Other places to visit are The Space Guard Centre near Knighton and the Judge's Lodgings in Presteigne. Cyclists are also well catered for in Shropshire. Nearby Hopton Wood has its own downhill trail and footpaths. Most of the lanes are quiet and relatively traffic free and if you can bear the uphill slogs, there are plenty of downhills to enjoy! There is more sedate cycling available if you don't fancy the hills though, with quite easy routes to Bucknell and Knighton and even as far afield as Ludlow or Craven Arms. If you want to go pony trekking, Underhill Riding Stables at Dolau (pronounced ‘Dolly’) is about 30 minutes drive from here south of Knighton. They are very friendly people and offer pony trekking for a couple of hours, a half day or a full day with pub lunch. There is a a bus from Knighton on Thursdays at 1.45 pm. Jo at Curiositea in Church Stretton is now offering to prepare and deliver meals for you to the cottage. All meals are freshly made to order, ready to cook or heat through and are accompanied by detailed cooking instructions. Curiositea only use the freshest ingredients – using locally sourced products wherever possible. All the staff share a passion for producing delicious food as well as ensuring a high quality of service for all customers.  Choose which menu you wish to order from Supper drop off or Fine Dining.  If you have any special dietary requirements do contact us to discuss this. 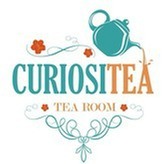  Once you have chosen either email us at curiositeatearooms@gmail.com or call us on 07825303546.  We will acknowledge you by a reply to your email or a phone call back.  Please allow at least 24 hours notice from time of booking, cut off point is 4pm for next day delivery.  Orders over £25 are eligible for free delivery, under £25 will incur a £5 delivery charge. Go to Chapel Lawn for more information on the Flicks in the Sticks and other village events. Check out the Assembly Rooms website for details of upcoming shows, live music, films and theatre. 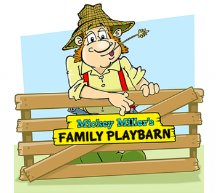 Mickey Miller’s Family Playbarn is a must for anyone with small or large children. Their barn includes 21ft and 16ft Demon Drop Slide, a 3-Lane Astra Slide (whatever that is), Ladder Climbs, Spinning Discs, Over-and-Unders, Roller Pole, Zig-Zag Chamber, Spinning Poles, Tumble Tower, Horizontal Squeeze Rollers, Slither Chicane, Ball Pit and 5’s & Under soft play Area. They also have a cafe and free wi-fi and lots more which you can find on their website.